Dante Fowler Jr. an American football outside linebacker for the Los Angeles Rams of the National Football League. He plays by wearing shirt number of 56. He played college football for the University of Florida and was selected third overall by the Jacksonville Jaguars in the 2015 NFL Draft. He is one of the very talented player. He was selected third overall in the 2015 NFL Draft by the Jacksonville Jaguars. 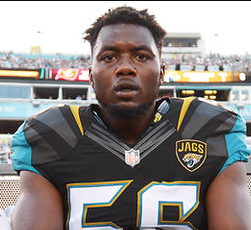 Rams acquire Jags DE Dante Fowler for draft picks. 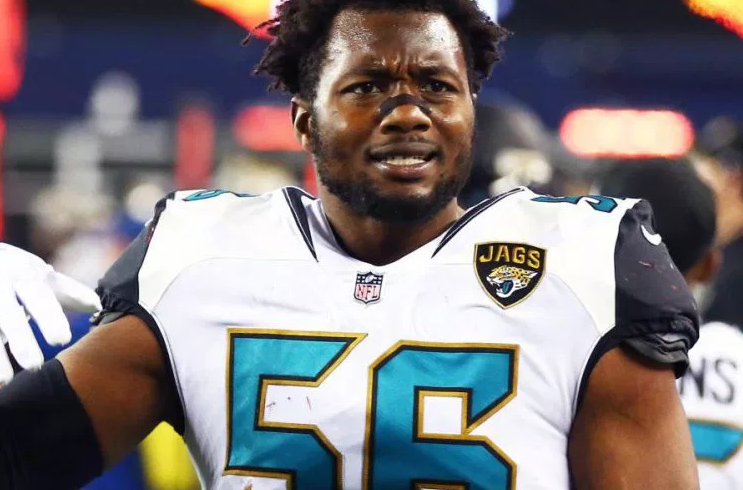 The Los Angeles Rams acquired defensive end Dante Fowler Jr. from the Jacksonville Jaguars on Tuesday for a third-round draft pick in 2019 and a fifth-round selection in the year 2020. He will become an unrestricted free agent after this season. For recording three sacks, helping the Gators defeat East Carolina in the 2015 Birmingham Bowl 28-20 in his final game at Florida. Dante Fowler Jr. was born on 3rd August 1994 in St. Petersburg, Florida. His nationality is American. He is the son of Dante Fowler, Sr. and Lanora Fowler, his parents. His sibling's details are not available yet. His religion is Christian. Leo is his zodiac sign. Regarding his education, he attended Lakewood High School in Florida. Later he went to Florida College and graduated from there. A famous linebacker, Dante has got an attractive body features. He stands 1.91 m (6 ft 3 in) tall. He has a balanced weight of 116 Kg (255 lb). He maintains his boy a lot by exercising and dieting. He attracts a lot of people towards him with his hot smile. Dante started his career from his high school where he was a two-sport star in football and track. In his high school, he has also named an honorable mention to the Sports Illustrated All-American football team following his senior season and was selected to 2012 Under Armour All-America Game. Later, in his college, he moved to the outside linebacker position and played in all 13 games and started his first game against Missouri. He was also named to numerous freshman all-American teams. In the year 2014, he recorded 60 tackles, including 15 for loss, 8.5 sacks, and two forced fumbles, and was named a first-team All-Southeastern Conference selection by the conference's coaches. He recorded three sacks helping the Gators to the 28-20 victory in the final game, the 2015 Birmingham Bowl vs East Carolina. After that, he made his intentions to forgo his remaining eligibility and enter the 2015 NFL Draft. He was selected in the first round with the third overall pick by the Jacksonville Jaguars in the 2015 NFL Draft. In the year 2015, 8th May, he tore his ACL on the first day of mini-camp and missed the entirety of his rookie season. Then, he signed a fully guaranteed four-year, $23.5 million contracts, with a $15.3 million signing bonus on 12th May 2015. He made his team debut against the Green Bay Packers where he made three tackles (one for a loss) as the Jaguars lost the game 27-23. He played against Houston Texans where the team made victory in the 29-7 on 10th September 2017. The Jaguars declined the fifth-year option on Fowler's contract on 2nd May 2018 and was also was suspended for one game due to violating the league's personal conduct policy on 20th July 2018. Later, he was traded to the Los Angeles Rams in exchange for a third-round selection in the 2019 NFL Draft and a fifth-round selection in the 2020 NFL Draft on 30th October 2018. Dante is not married yet but he is in a relationship. The altercation went down on 1st February when Fowler arrived to the complex with a woman believed to be his girlfriend, who confronted the mother of Fowler’s child in a public area in front of an elevator. The couple is living a happy life and there is no sign of separation between them. They are also spotted in may public place. The net worth of Dante is not revealed yet but it is sure that his net worth is in millions. Dante Fowler Jr. has career earnings of $23.28M over four seasons, which ranks 522nd among active NFL players entering 2018. He earned $6.41M in 2017, which ranked 18th among DEs and 169th overall in the NFL. His salary is still to get unfold and will be updated soon but there is no doubt in the mind of his follower that he is earning a good amount of money from his work. He was traded to the Los Angeles Rams in exchange for a third-round selection in the 2019 NFL Draft and a fifth-round selection in the 2020 NFL Draft on 30th October 2018. He earned $6.41M in 2017, which ranked 18th among DEs and 169th overall in the NFL.